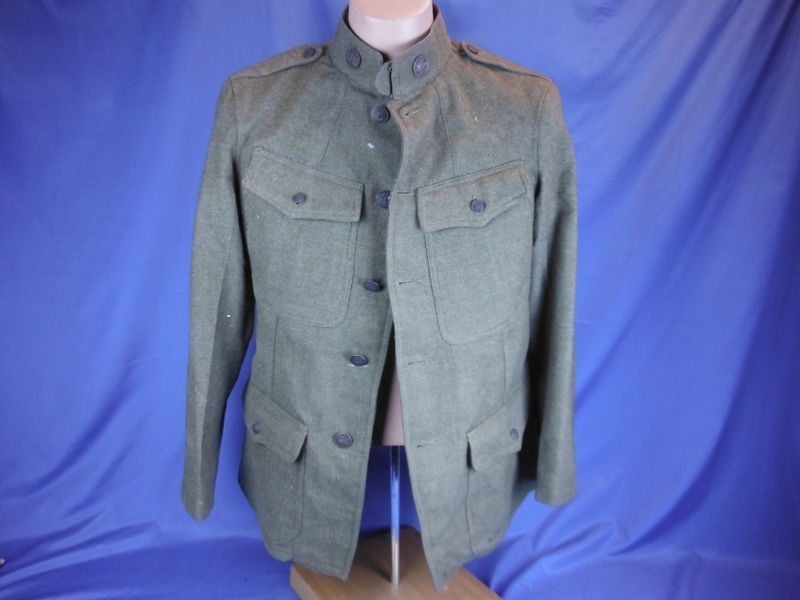 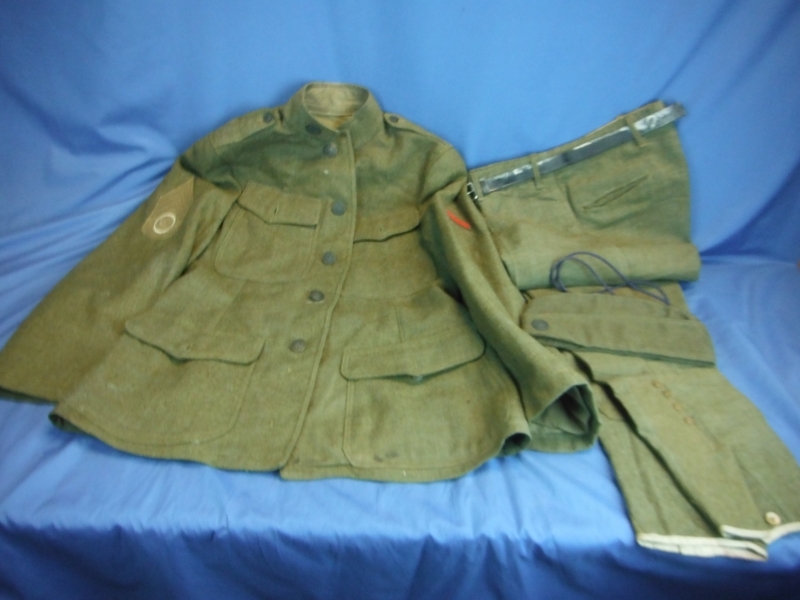 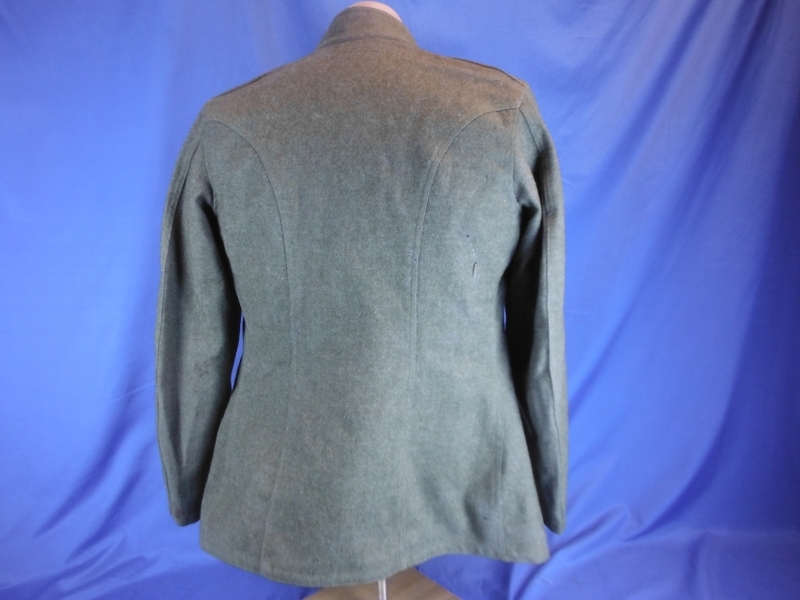 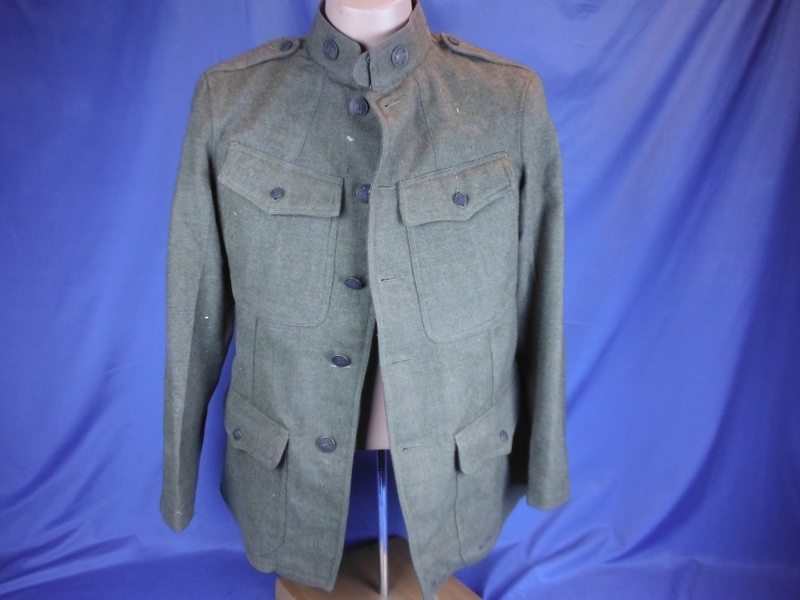 This is a nice WWI US Army Enlisted Transportation Uniform set. 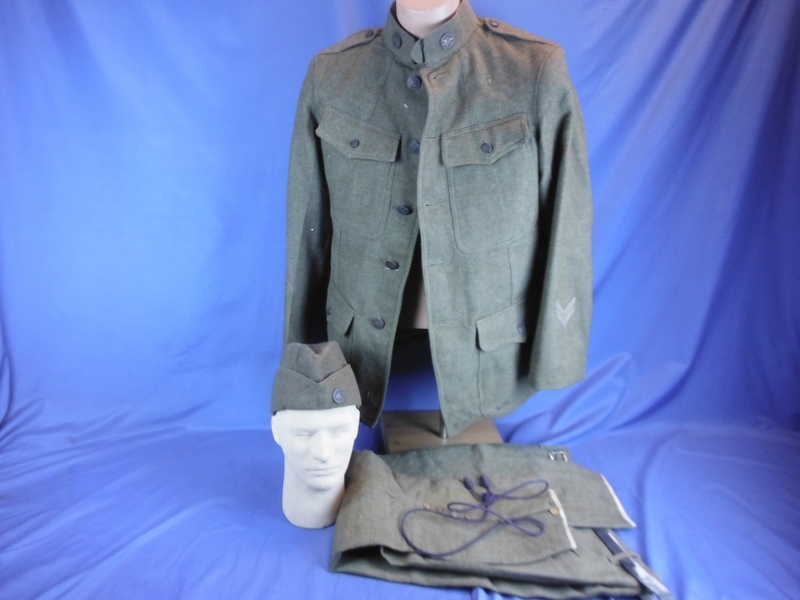 The set is all matching and came to us from the relative of the veteran but unfortunately did not come with any identification. 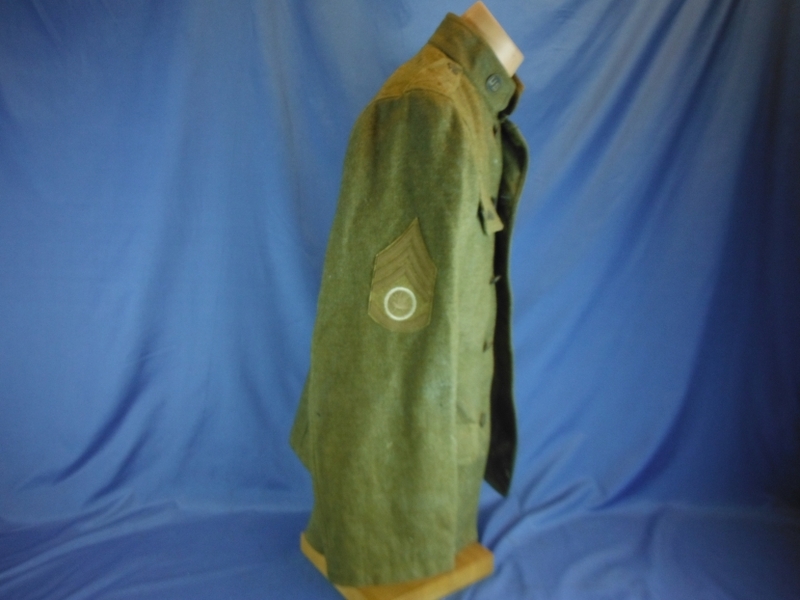 The uniform is for a US Army Transportation Sergeant 1st Class and is in overall good + condition. 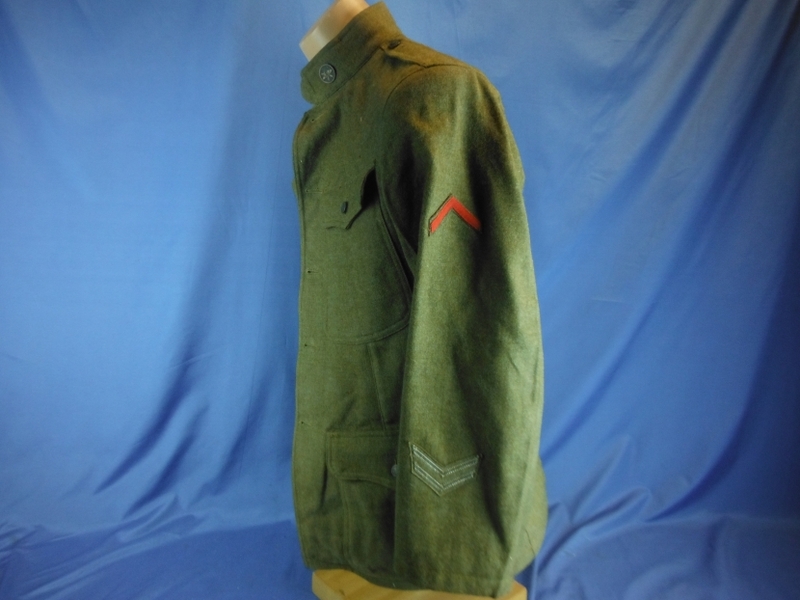 The uniform does have a few mothing spots but most are hidden under the coat flap. 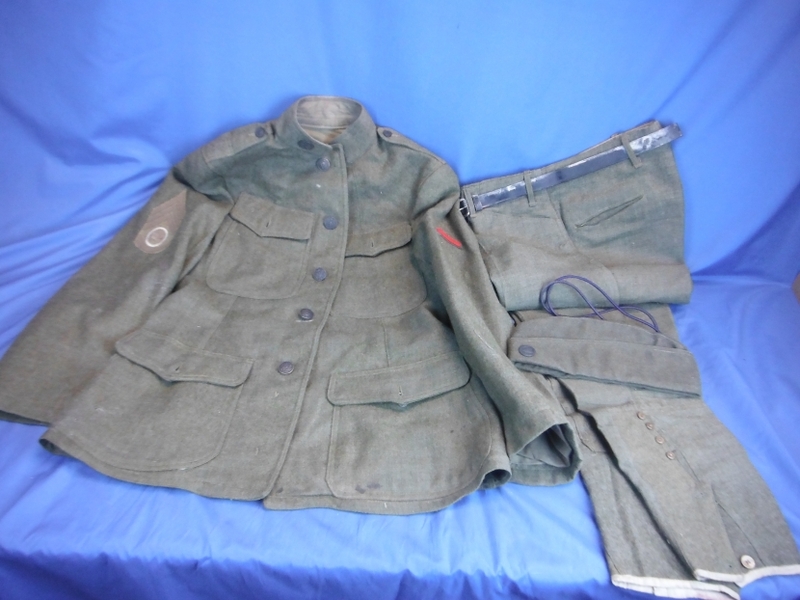 The coat measures a 36" chest, with armpit to cuff measurements of 17", shoulder to cuff 24",and a neck with a 16" measurement.The pants are in similar condition but have a unique private purchase leather belt with has the typical white oxidation to the leather. 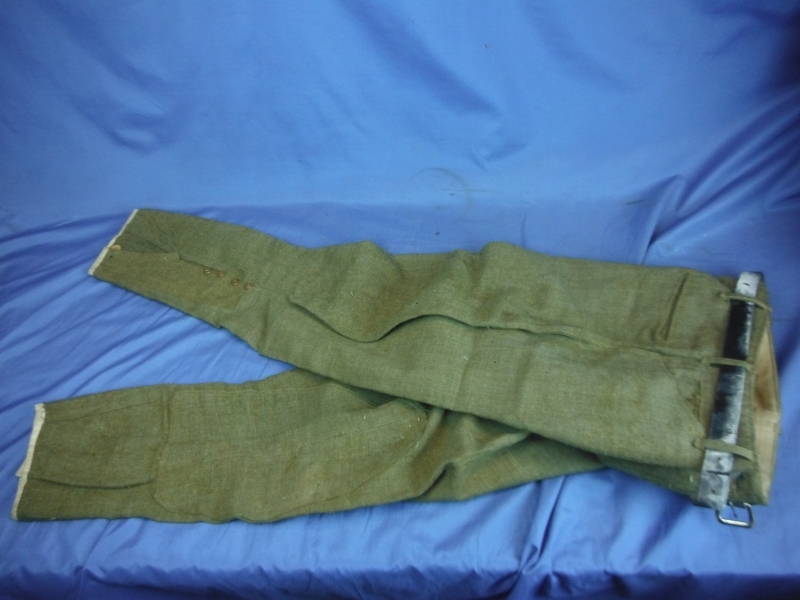 The white oxidation could be cleaned up some. 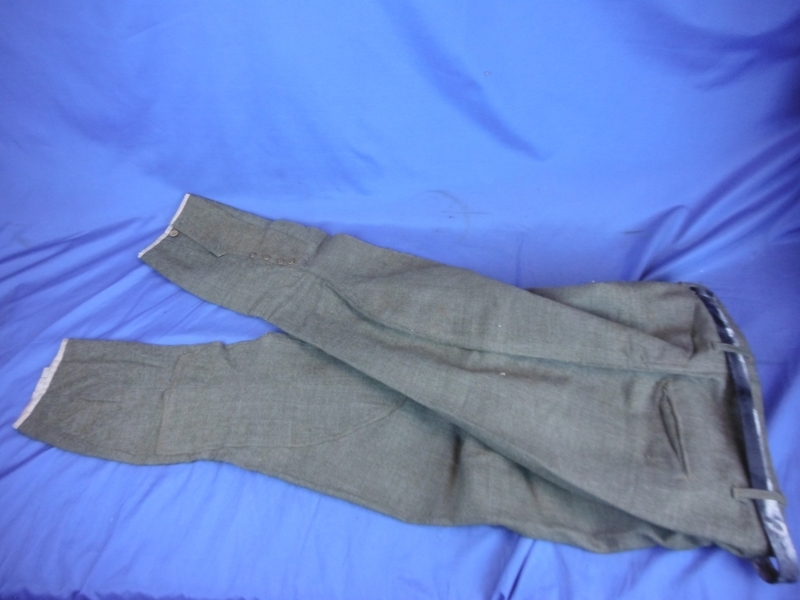 The pants measure a inseam 24" with an outseam of 35" and a 30" waist. 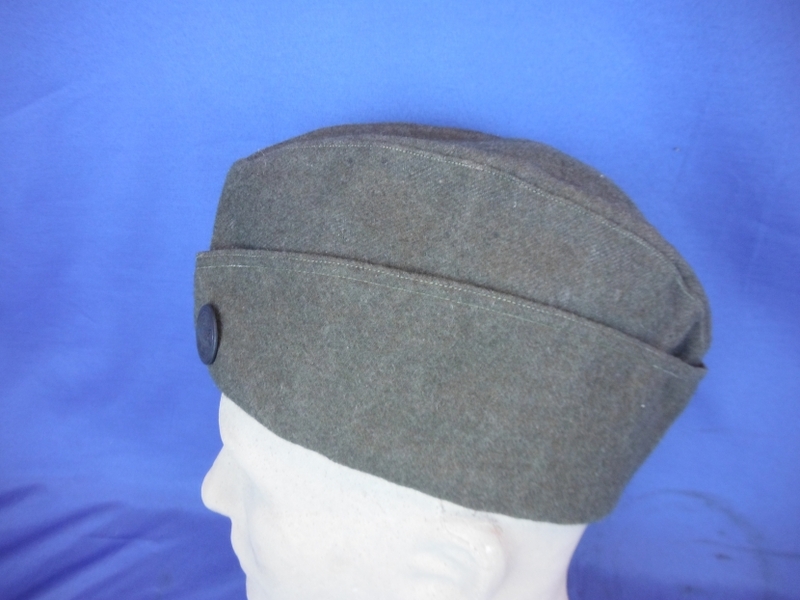 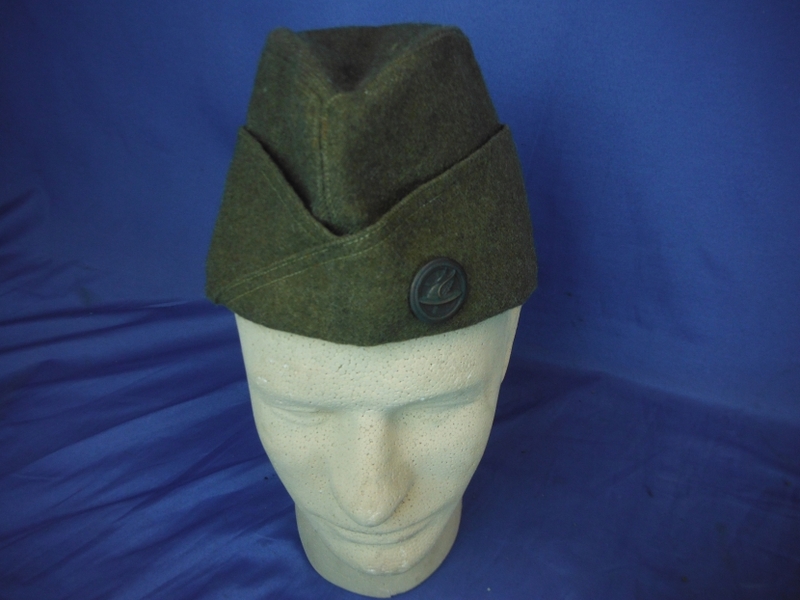 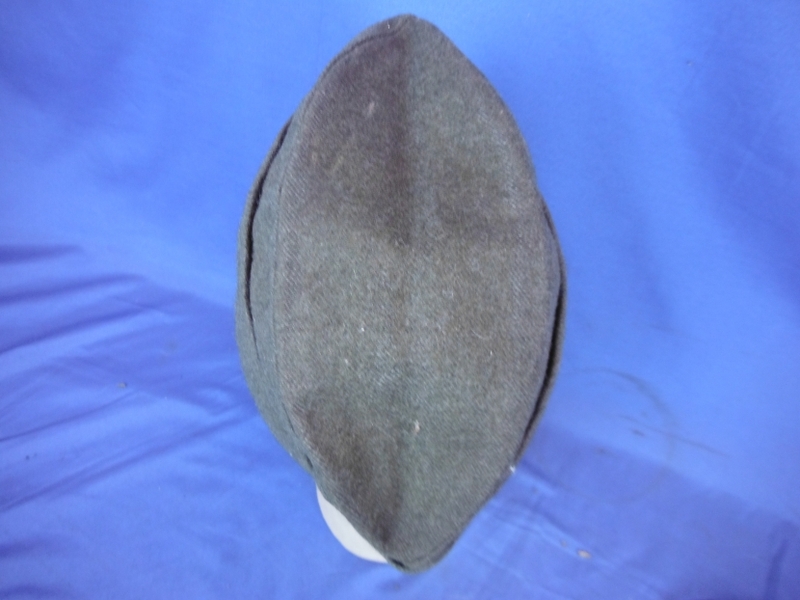 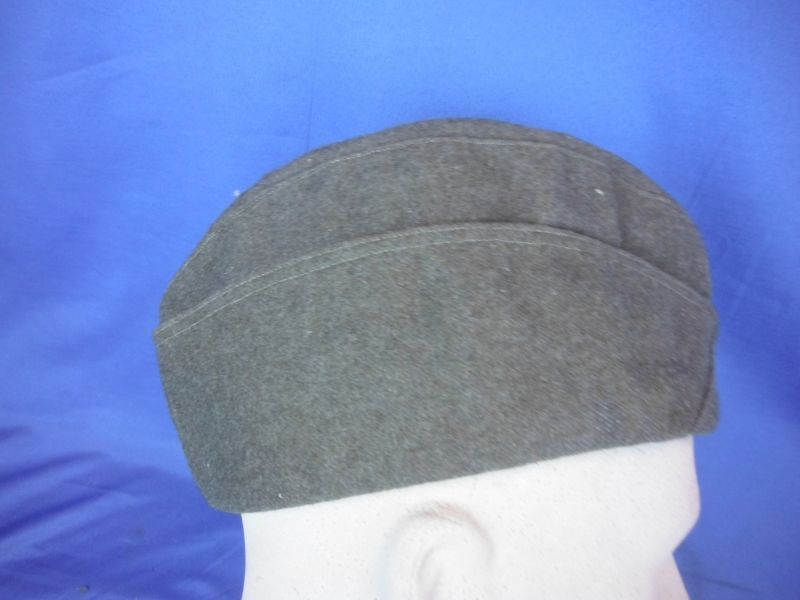 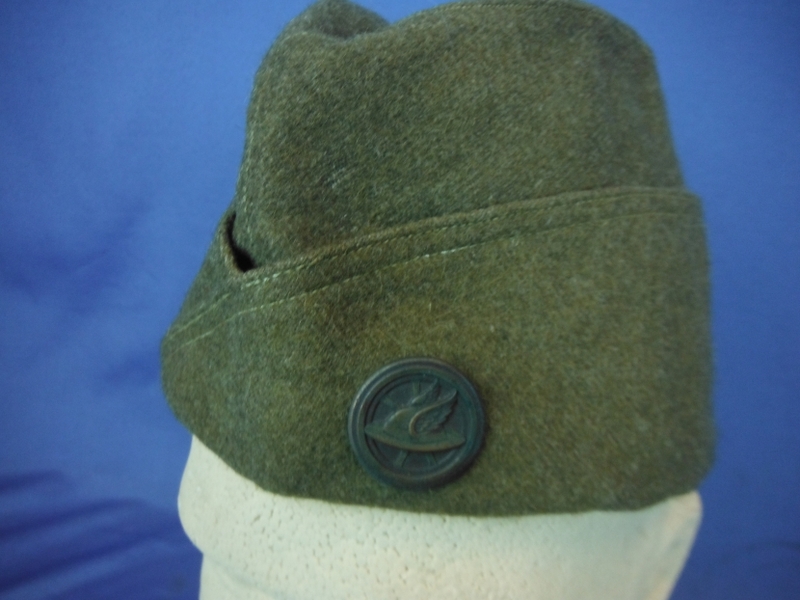 Also included is an overseas cap with motor transportation insignia on it and measures to be an approximate size 7". 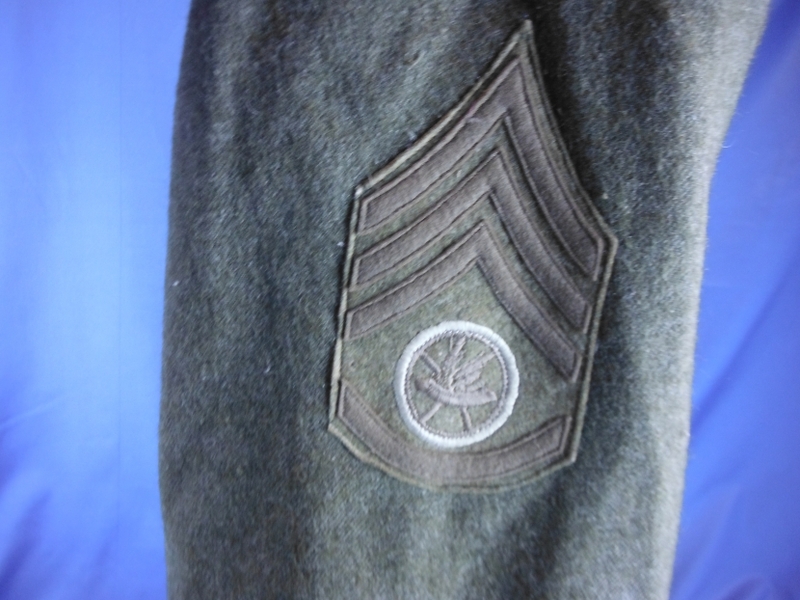 Additionally a slightly faded motor transportation campaign hat cord is included. 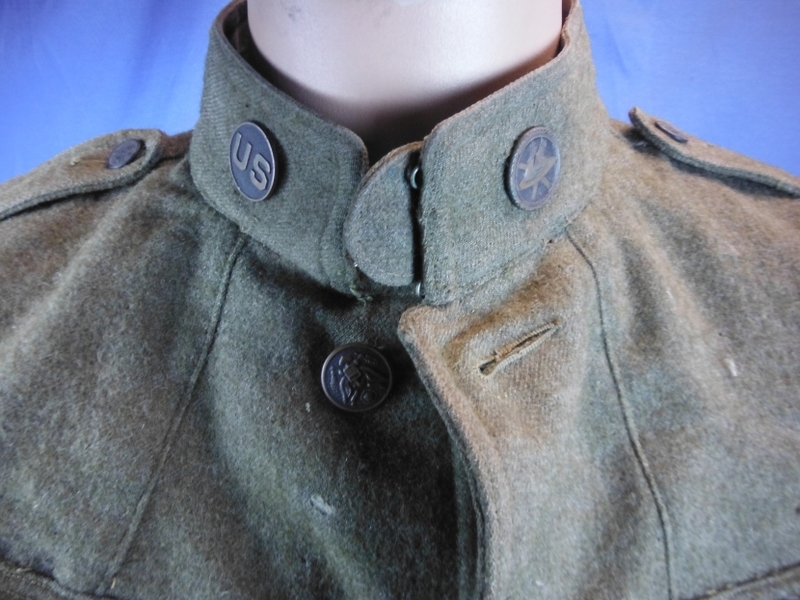 Overall a nice WWI grouping.